Black Panther, best part of Captain America: Civil War, a fulfillment having the character on screen, the cast is a who’s who of talent especially the additions of Danai Gurira and Michael B. Jordan as Killmonger, Ryan Coogler really seems like a fan, and it looks like the film is the “Panther’s Rage” story. All before the start of filming, wait for D23. Spider-Man: Homecoming, again panel blackout, but it does seem like Holland is ready for the role even though they just started filming, much of it will of course be dark until release. Moana, Auli’i Cravalho is a perfect princess!, Dwayne Johnson sold it at D23, the information seems to be blacked out for this film, but I can’t wait for this one on November 23rd! Fantastic Beasts, the poster is full of symbols and characters, besides the trailer which showed more, Eddie Redmayne seems game for promoting the film, not much from the panel, I don’t have a strong sense of the characters or story, but it is Harry Potter adjacent so sign me up when it comes out of the suitcase on November 18th! 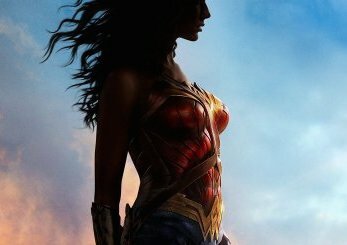 Wonder Woman, the poster is moody, love it, the trailer is full of action with touches of humor, Gal Gadot is winning, her social media presence was great, director Patty Jenkins is a fan and loves her cast, the videos covered the panel, and the trailer? wow, this is the top expected movie of 2017 for me.